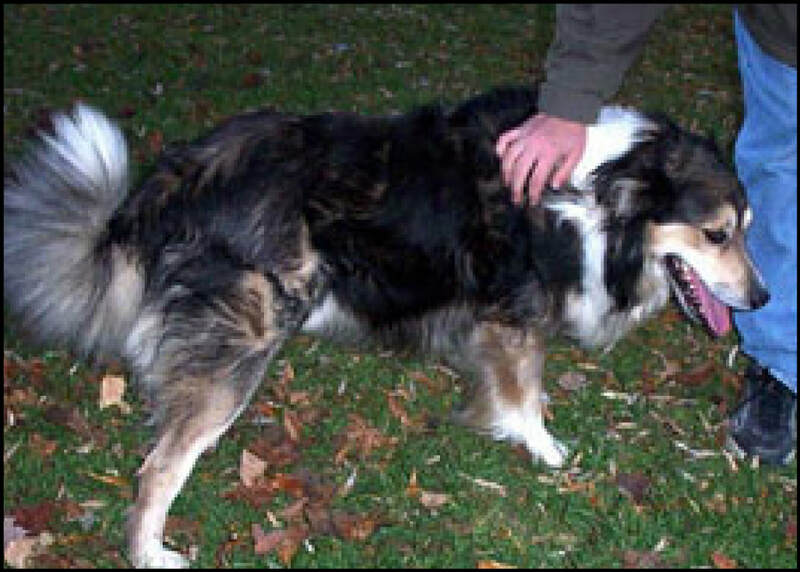 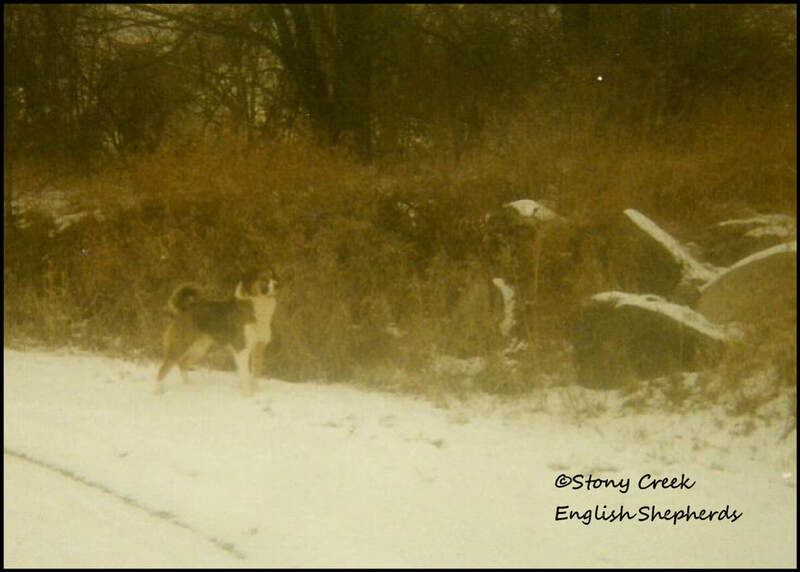 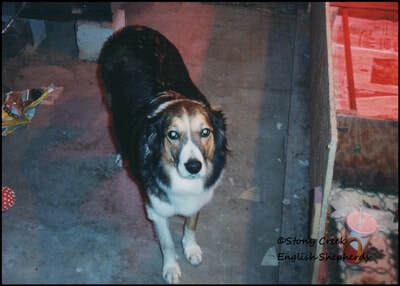 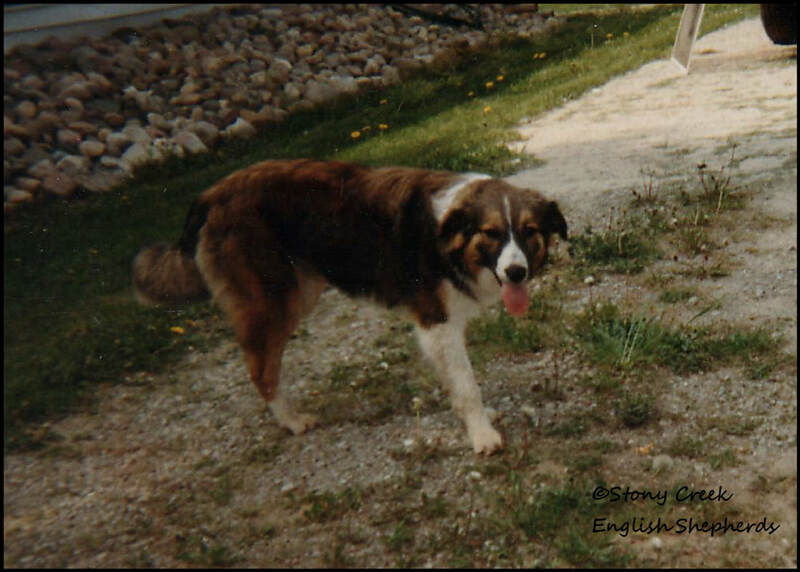 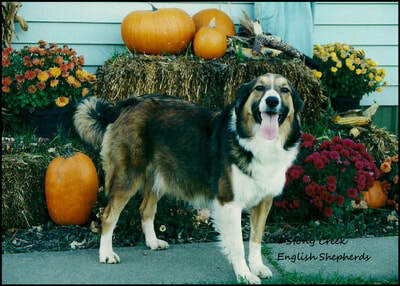 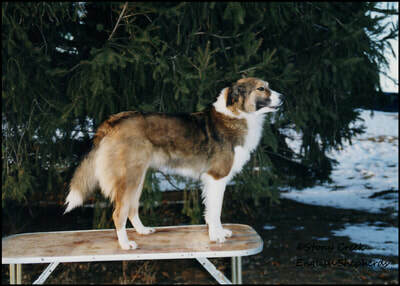 Mattie was about a 50 pound dark sable & white female with traditional Irish markings. She was purchased instead of a replacement wedding ring, hence her registered name. 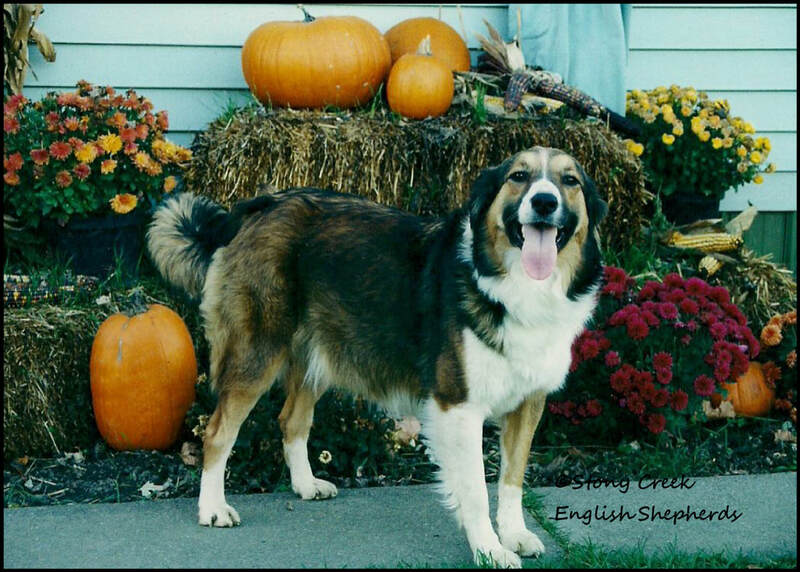 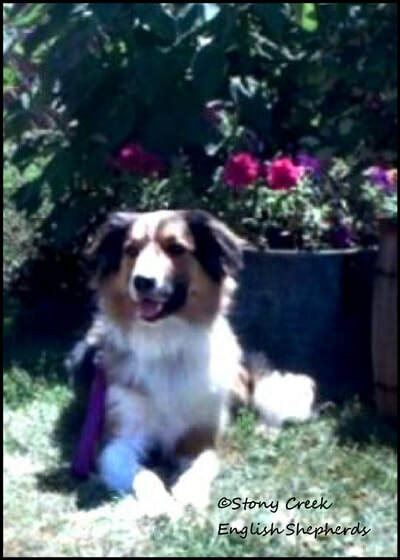 Mattie was a dear sweet friend & a great mother to our "F", "G", "K", "M" & "P" litters. 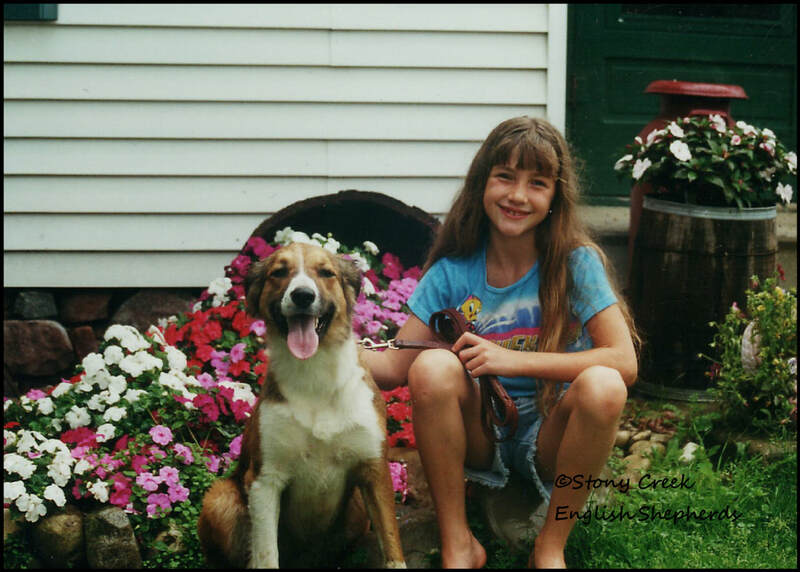 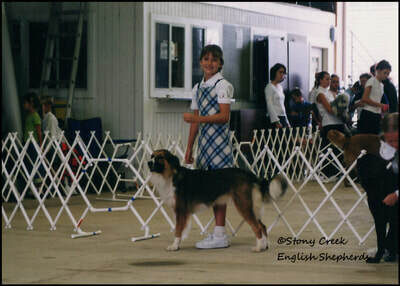 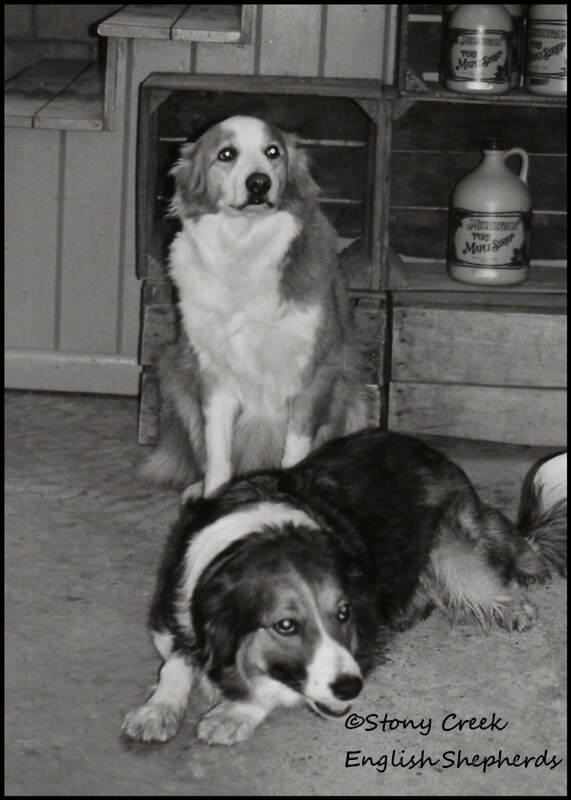 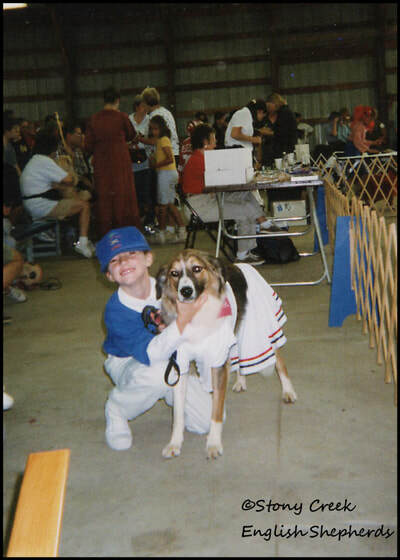 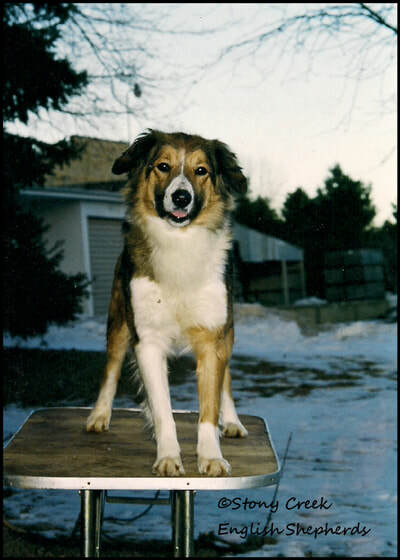 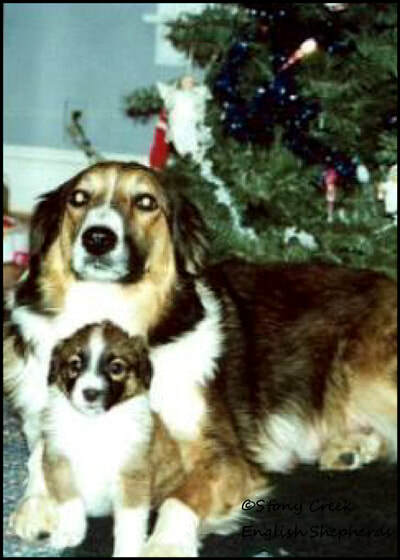 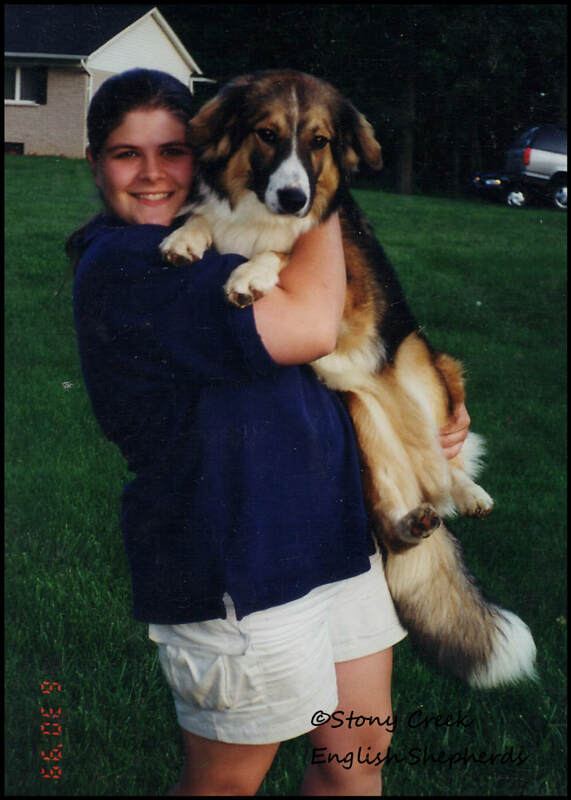 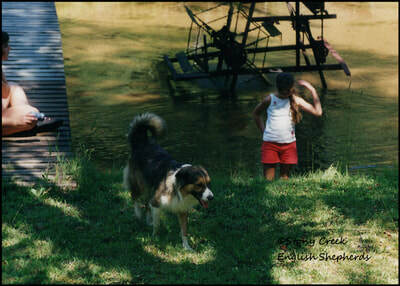 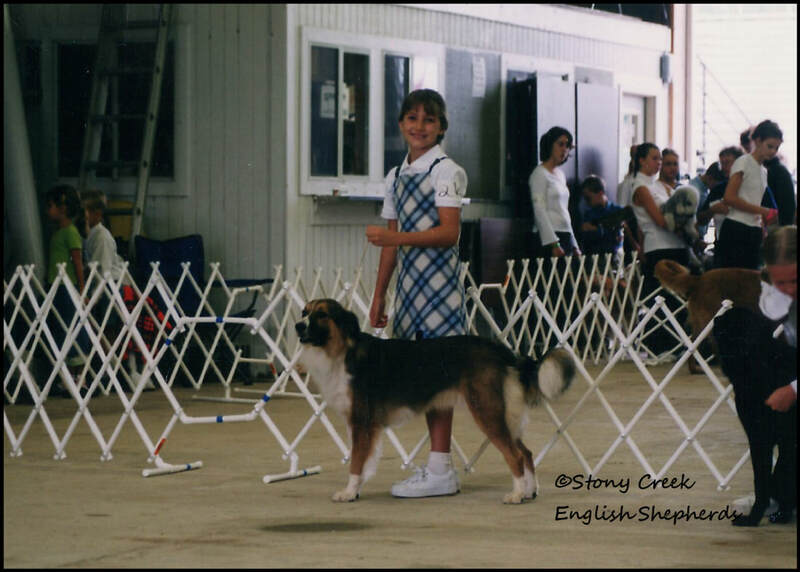 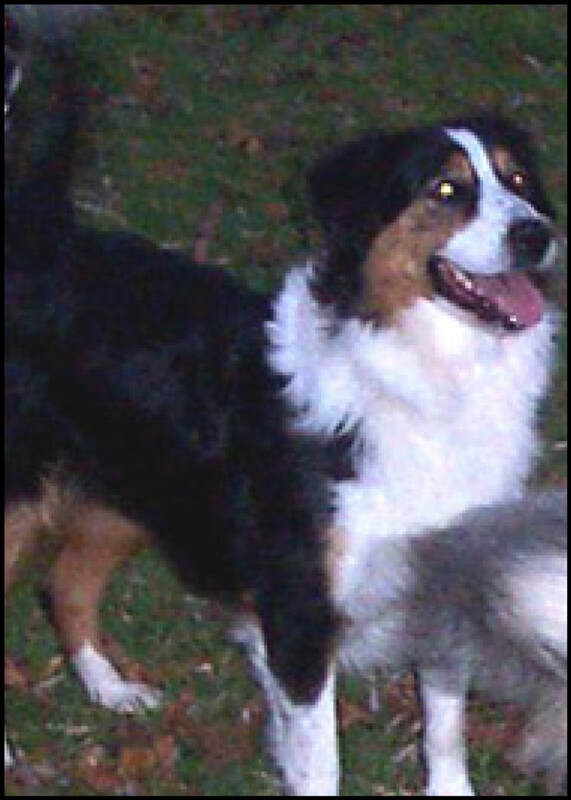 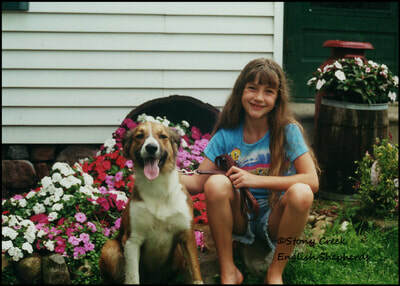 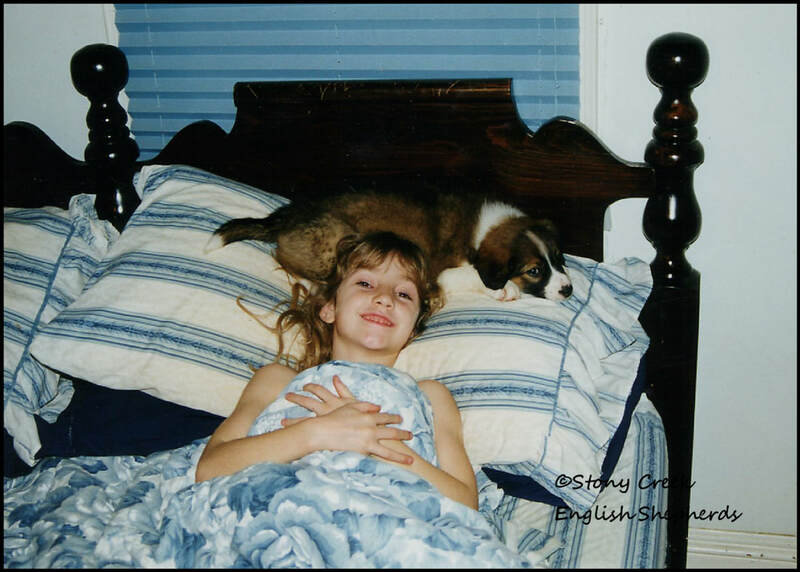 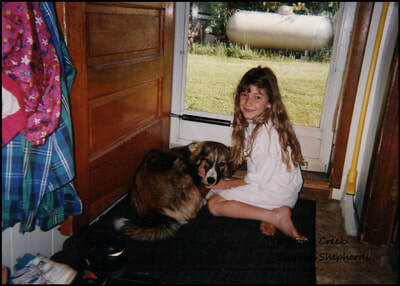 Mattie was Rhyan's first 4-H dog through her younger years & hooked her on agility. 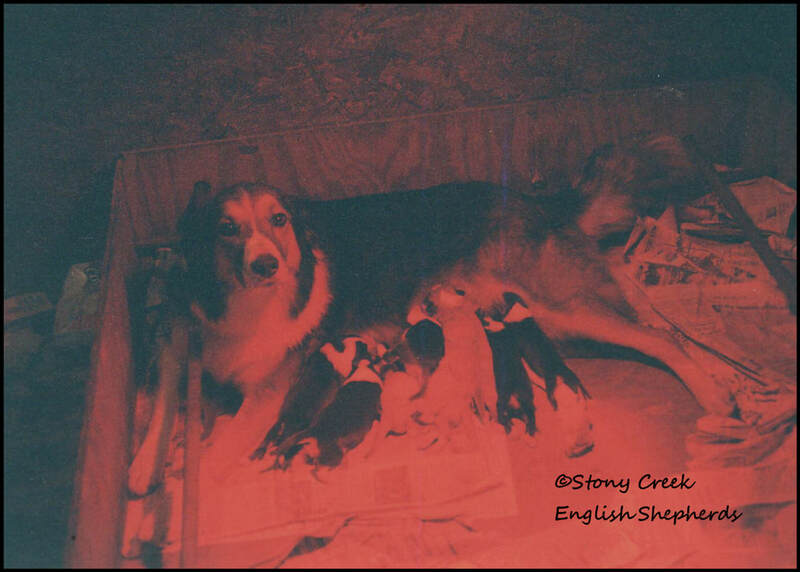 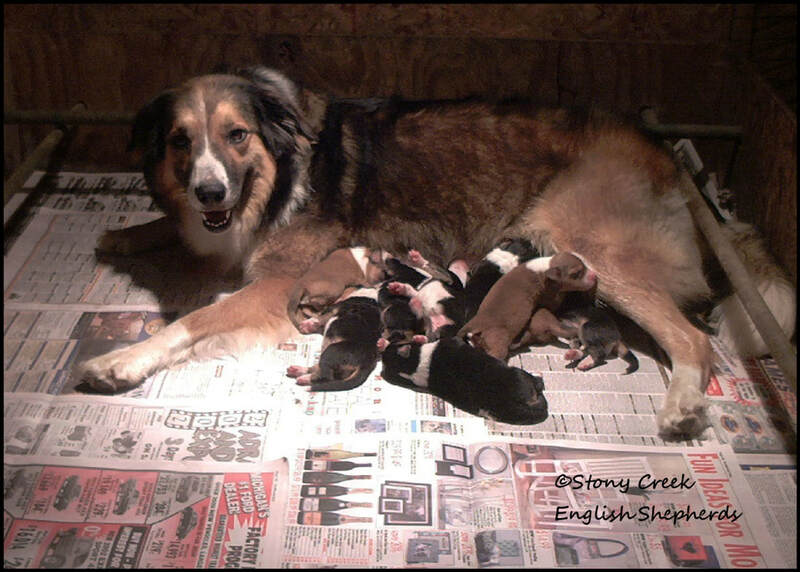 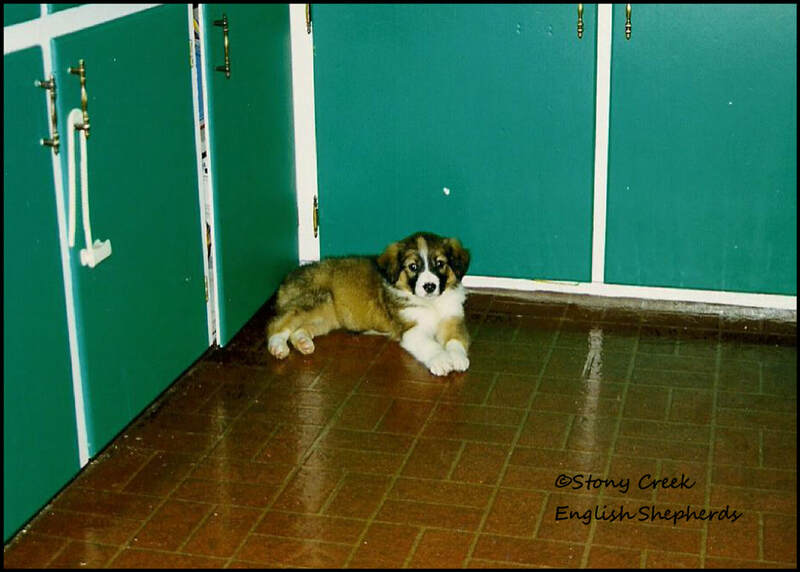 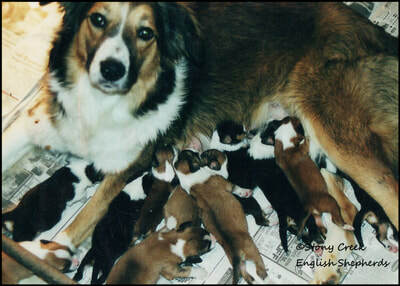 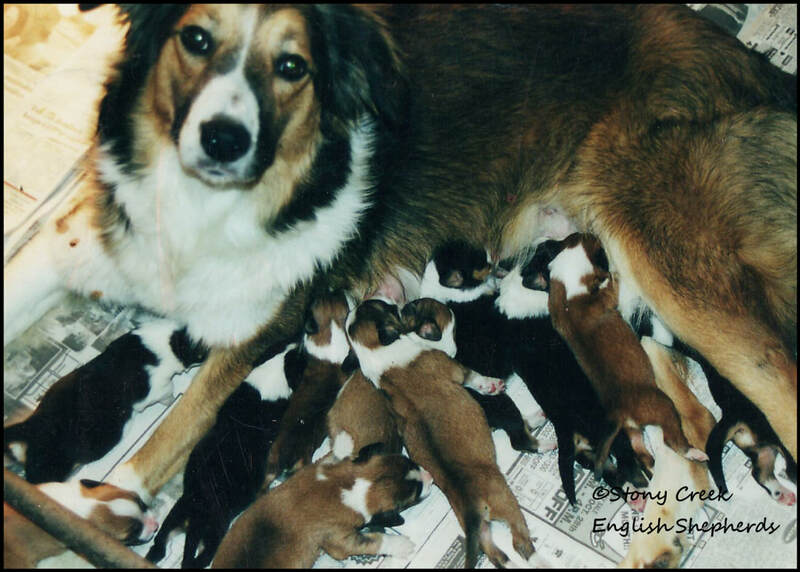 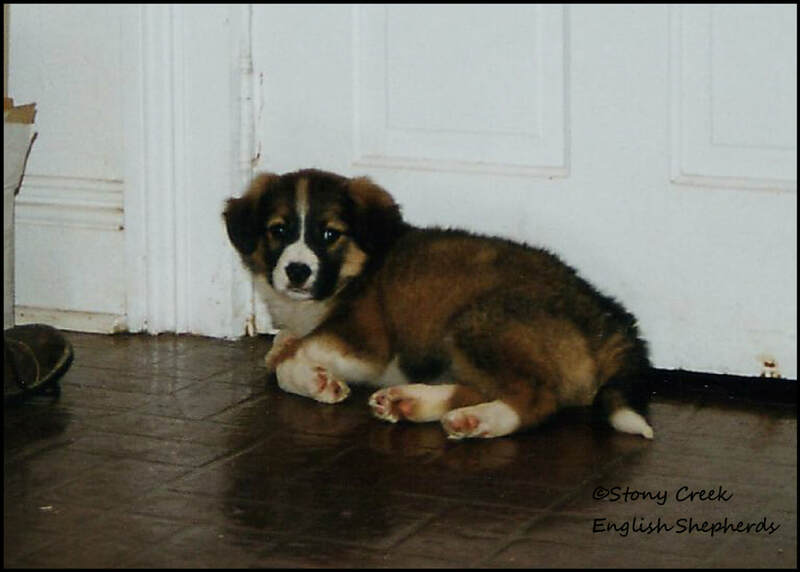 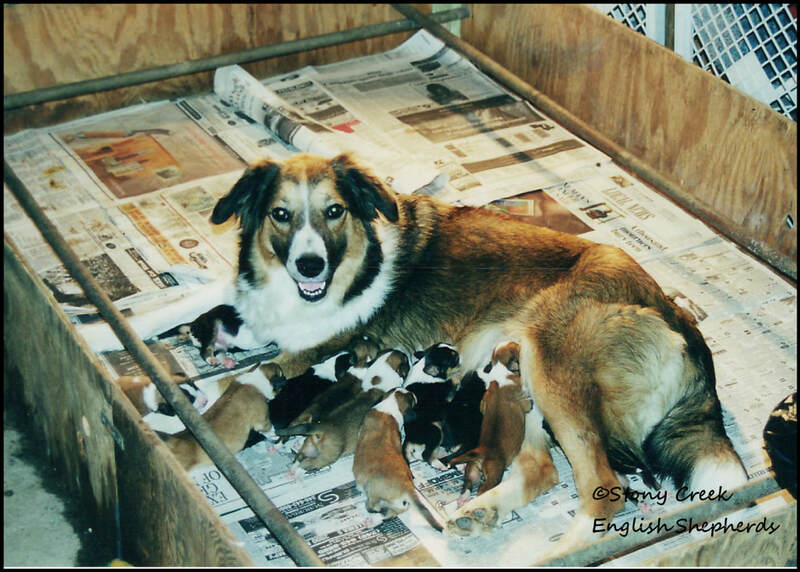 Mattie blessed us with amazing puppies & though she was not with us when she passed, we felt the loss of her deeply. We always planned on her coming back to the farm & now her spirit is with us!